This entry was posted in Ask Bethany House, Cover Design, Inside Bethany House. Bookmark the permalink. I loved the cover with the gate! It was eye-catching and so different than the usual book cover. 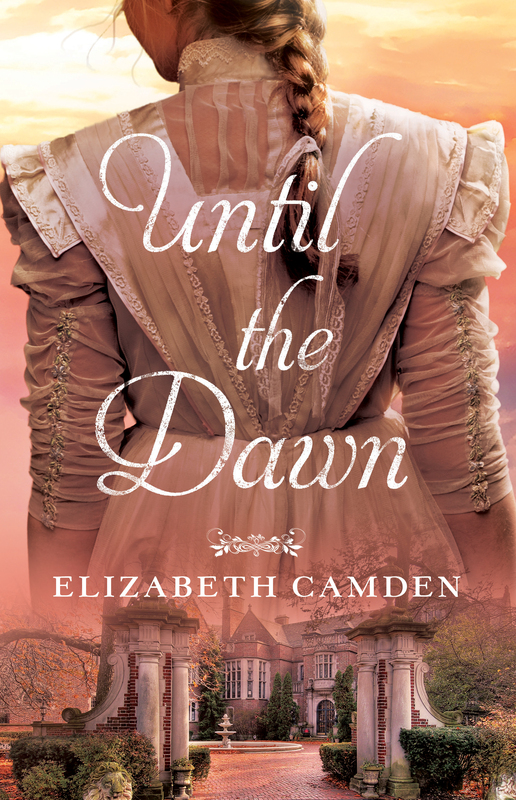 I could instantly identify it as historical (but maybe that’s because I’m familiar with Elizabeth Camden and knew this was a historical story before seeing it). Of course, the one that was chosen is also beautiful. 🙂 I’m such a huge fan of Elizabeth Camden, I cannot wait to read this story!! Question: Do the designers ever get outside opinions? As in, would they ever present the cover options to a beta group of readers? Yes, both are lovely! 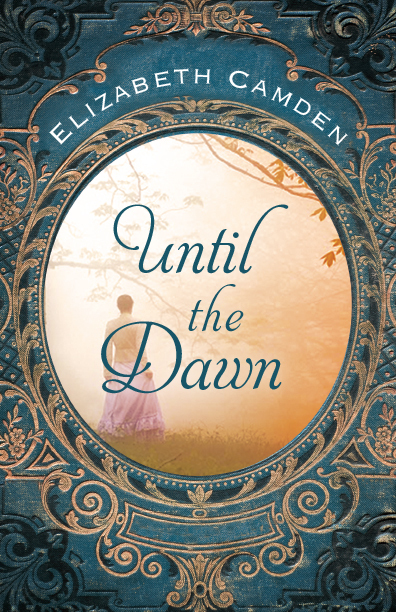 And I particularly enjoyed this story with the mystery elements, although I think Against the Tide will always be my favorite from Elizabeth. I know they’ve surveyed a group of readers a few times. The reason it doesn’t happen more often for fiction books is because most times, the other options aren’t nearly this different or this polished. Often, we’ll pick one set direction early on, and then we’re just deciding which pose/facial expression we like best or things like cover font, and there’s often a pretty clear consensus. Also, the deadlines for these covers are often really tight, which makes it hard to involve more people in the process. Thanks for asking, Gabe! I definitely love the cover that was chosen, but my second choice was the one which focused on the mansion. There is a certain mystique associated with historic residences. And this one certainly has that, Rebecca! (Plus legends of a curse, beautiful gardens, and a generational mystery.) Glad you liked it. As a reader I can tell you honestly the very first thing is the cover. Yes, I look for my favorite authors, but the cover for me is the draw. I love a cover that is mysterious. For instance I don’t always want to see the face on the cover which is why I like your second cover the best. I do want the cover to match the story. I thing Bethany does an excellent job on their covers and I appreciate the hard work that goes into developing them. Thank you for sharing. Hi Katrina! It’s always interesting to me to see the divide between “face” and “no face” people when it comes to covers–both sides have good reasons for their opinions. And I’ll pass along your compliments to our designers! They work really hard and do a great job! Thanks, Pauline! The gate doesn’t play a huge role in the story, but the garden is described several times and seems like just the place I’d want to visit. Glad you enjoy Elizabeth’s books! I loved the girl standing by the gate. and then my second choice would be the green dress. lovely. Isn’t it beautiful? The men on the team will make fun of us women when the first thing we say about the cover is that we want the dress. I wish the gate had been more important to the story so I could have lobbied more for that one. It was a very close second for me! Glad you liked it too. 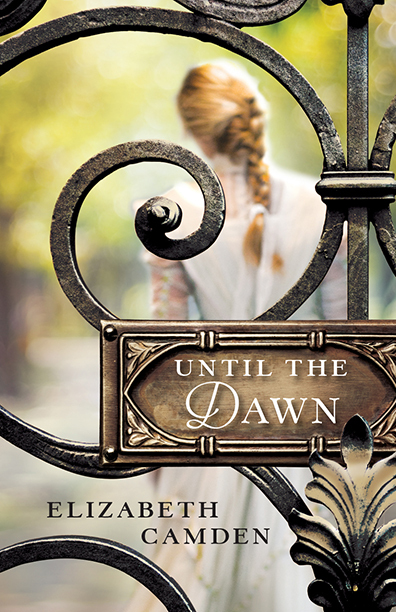 Definitely my favorite is the one of the close up of the gate, just beautiful, and Elizabeth Camden readers would likely not question whether or not it was historical fiction, but for new readers I understand the reasonings behind it. I wasn’t a fan of any of the others, apart from the one chosen, so we’ll done!! Book covers are vital in selling books. As a bookseller, and as a book reader & reviewer, a great cover is the big factor (after recommendations) on whether someone buys it. Thanks so much! And you’re right–the cover and the synopsis on the back cover are two key points of contact with the reader that will make them pick up a book or pass. I hope you have a reason to use the close-up gate idea for a future cover. It’s striking–definitely eye-catching! I’d check out the book purely for its simplicity and beauty. We have re-used cover ideas in the past, Rachael! A design that doesn’t really fit well with one book might be perfect for another. And I hope this one could be used in the future! Thanks, Alyssa! It’s true…as a reader, I try to let the first few pages of a book speak for themselves, but it’s hard not to be drawn to a book with a killer cover! 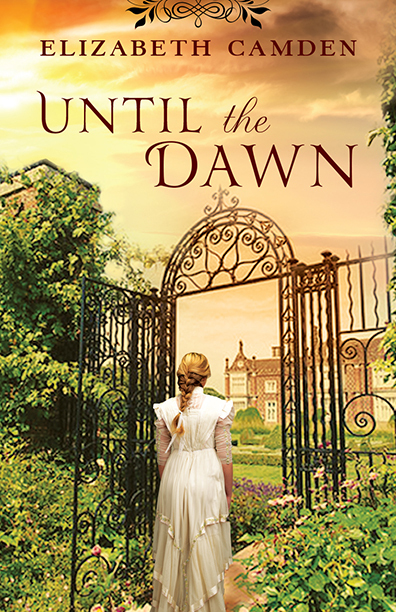 I do like the final version, but I admit my book-lover’s heart went a-pitter-pat when I saw the one with the close-up of the gate in front and the view of the protagonist’s back inside as she walks away. It was lovely! And it really looks historical to me–hair, dress, old-fashioned (but totally awesome!) gate, font choices, and knowledge of author’s other releases. I’m actually reading “Beyond All Dreams ” by Elizabeth Camden right now! I love the cover; were you in on that cover design as well? I agree…it’s lovely! And I hope you enjoy Beyond All Dreams! I was at the cover meetings for that one, and Jenny designed it as well. It’s exactly what I imagine when I think of grand old libraries, and it makes me a wee bit envious, to be honest! 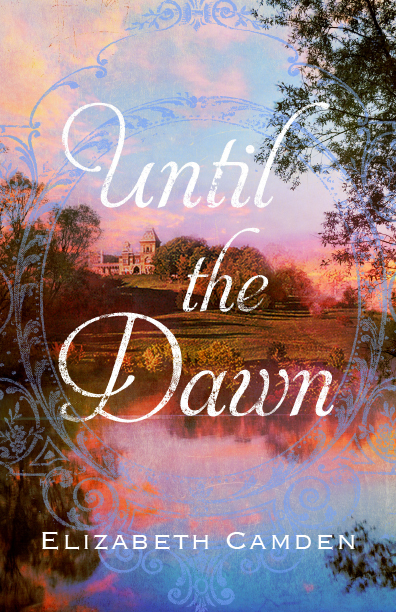 The protagonist, Anna, is a charming character, and the cover fits how I envision her! I know! I was looking through old photos of the Library of Congress and wanted to move in there and never leave! Am I allowed to like one of the alternates better than the actual cover? I LOVE the one which you said was a bit overwhelming. It reminds me of a framed portrait or even a cameo setting. Several of these are very eye-catching! I do like the finished one, too. You are totally allowed to like an alternate better than the final, Courtney! There are often alternates that I was especially drawn to for various reasons. And I think the cameo look was what Jenny was going for there! Thanks, Becky! I told Jenny how much everyone loved the gate cover, and she said she hopes to be able to use that concept on a future cover! I think you did a great job picking a cover. My second choice would be the one you thought might not look like a historical novel. I’m always disappointed when a cover doesn’t jive with the story. If the heroine or hero have the wrong color hair or if they wear an outfit that doesn’t match the heroine’s personality. Thanks, Jackie! I tend to notice things like that too. Sometimes the book isn’t written yet when the cover is designed, so I can cut some slack where personality is concerned (it might have changed since the author gave the designers the synopsis). But hair/eye color seems like something that could be easy to match. Amy, I also vote for the closeup of the gate. It would make an excellent mystery cover. 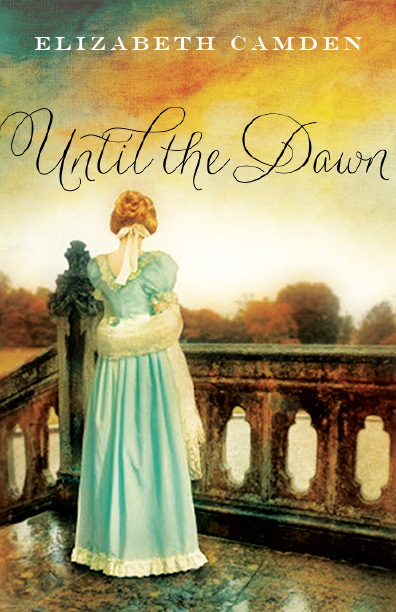 The winning one is beautiful and leaves no doubt it’s a historical novel.